Having recently been to Ikea a couple of times over the last few weeks I knew we had some spare cardboard packaging around. 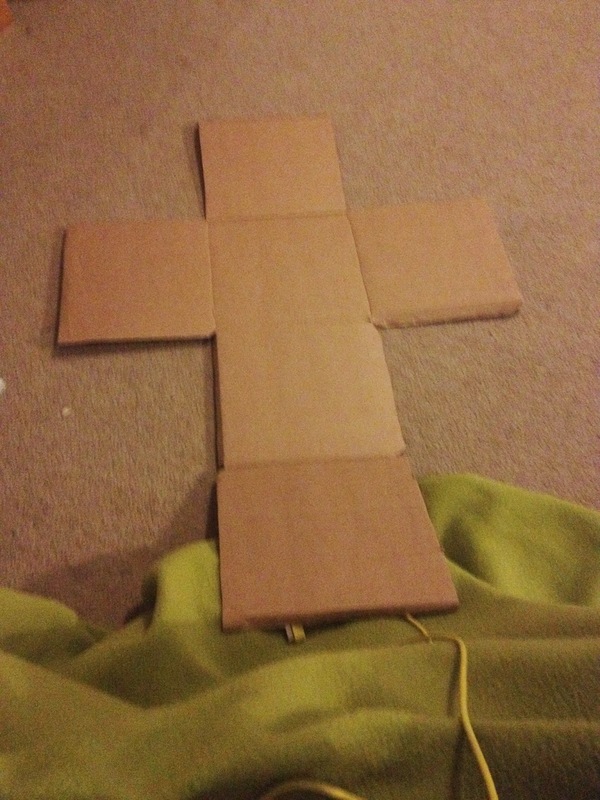 Firstly I set about making a box out of the card whose net is the shape of a cross. I then folded the lid of the box down and wrapped the box roughly in some spare Christmas wrapping paper, and I was ready. - Has anyone had a birthday recently (wait for a volunteer and invite them up)? Talk with them about their birthday, did they have a party, did they get some presents, if so what? - Tell the volunteer that you have got them a present and produce the wrapped box. Speculate with them what might be in it. 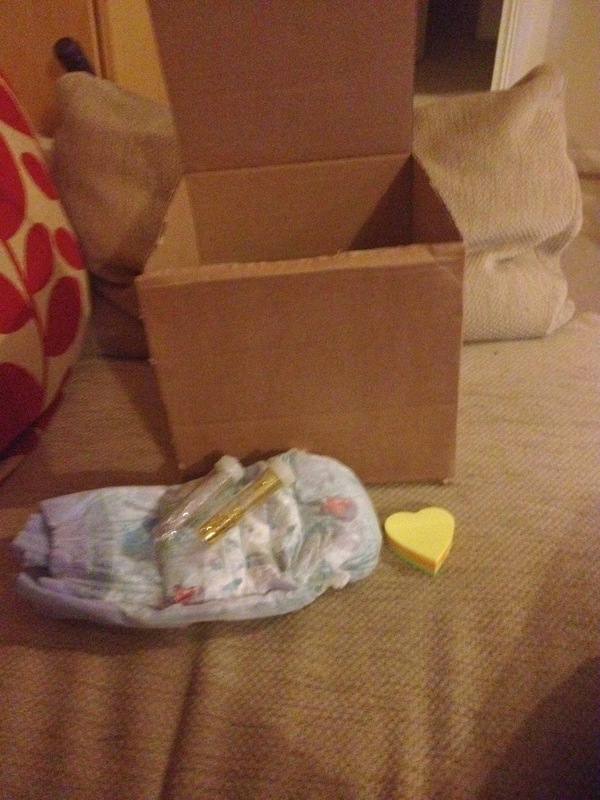 Ask them to open the present, to look inside the box and to get out the items. If today's experience was anything to go by, the reaction will be one of distaste! - Open up the box to it's net and display the cross shape. Talk about the items being a strange present, but the whole thing reminds us of the heart of what we recall on this Holy Cross day. - Talk about the nappy - the heart of what we recall today is that God loves us and this world so much that He comes amongst us as a baby born in Bethlehem. Talk about God understanding the ordinary stuff of everyday life and loving us in and through that. - Talk about the heart shaped post-it notes - the heart of what we recall today is that God loves us. Through the cross God proclaims His love for the world again, for each of us - a love which calls us to love others after the example of Christ. In Christ, God writes words of love on our hearts and calls us to share His love with others. - Talk about the glitter - the heart of what we recall today is that God loves us, but the cross reminds us that He does so in surpassing ways. The thing with glitter is that it can get everywhere (on our fingers, in our hair and on our clothes) but it also turns the most ordinary things into things of beauty. The cross of Christ transforms our brokenness and ordinariness into something beautiful for God. Like glitter, God's love for us, show supremely on the cross, gets into the most unexpected places - into our relationships, words and actions. I finished with a prayer that united all of those images again. Have fun, play with it and amend it.